Flat Nose Pliers, with non marring Nylon Jaw Inserts. Pliers are used when working with metal, wire, soft or polished pieces to prevent scratches and nicks on the surface. Use them to straighten wire, form shapes and to compress component joints flat. 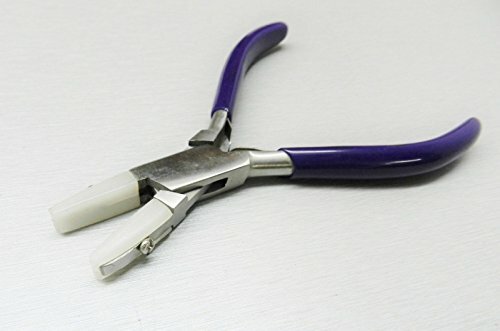 Plier is durable and long lasting made of Stainless Steel with a box joint construction holds alignment. Jaws are replaceable and an extra set is included. If you have any questions about this product by NOVELTOOLS, contact us by completing and submitting the form below. If you are looking for a specif part number, please include it with your message.